Willowood Sulfentrazone Assist is a soluble concentrate herbicide for use as directed in dry shelled beans and peas, peanuts and soybeans. 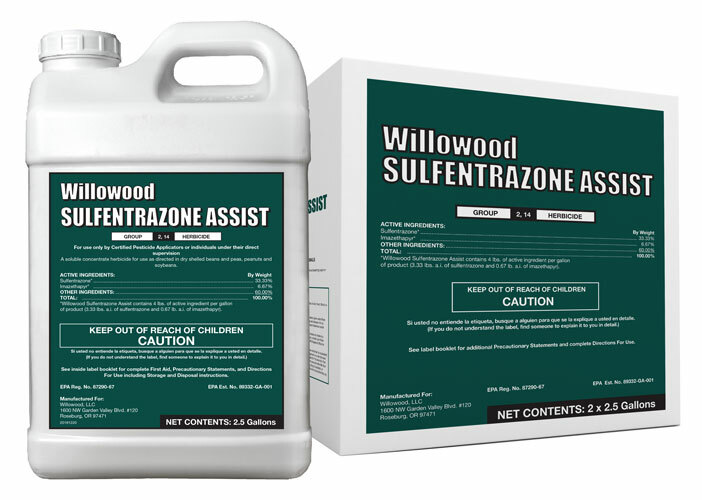 For specific use instructions refer to Willowood Sulfentrazone Assist product label. of product (3.33 lbs. a.i. of sulfentrazone and 0.67 lb. a.i. of imazethapyr). AUTHORITY ASSIST® is a registered trademark of FMC Corporation.